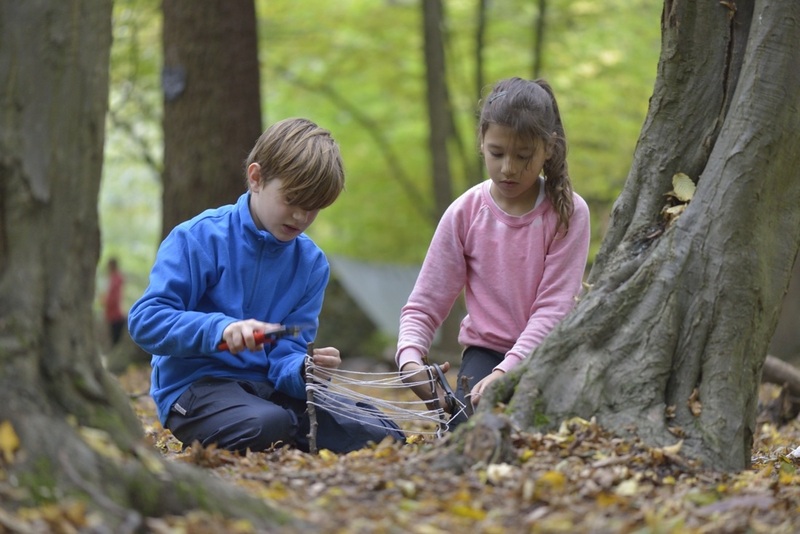 During term time, the after-school adventure club is in the woods every Friday from 4pm-5.30pm. It is booked termly, depending on the number of weeks in a term. This is an invaluable opportunity for school children to spend time in nature. An hour and a half spent in the woods allows children to move around freely and release any suppressed energy. It helps them clear their minds from any stress accumulated throughout the school day. ​ Regrettably, due to the shortage of daylight the club hibernates from November to February. During term time, we run two hour sessions every Saturday from 10.30am to 12.30pm or 1.30pm-3.30pm, suitable for children of school age. ​These six week courses run throughout the year, giving children a chance to experience all four seasons in the same woods. Children learn about nature by observing changes and adjusting to the changing environment that facilitates their play. ​With seasonal changes they discover what nature has to offer and how to use it creatively. During school holidays, we run three day Forest School camps for school children, especially popular as they allow children time to live their own adventures, develop relationships and experience the real magic of forest school. Children are given the opportunity to pursue their own interests, explore the world around them through child-led play and spend invaluable time in the wild, reconnecting with their inner self and the natural world.